This entry was posted in LOL and tagged lol, Penguin, pic, troublemakers. Bookmark the permalink. 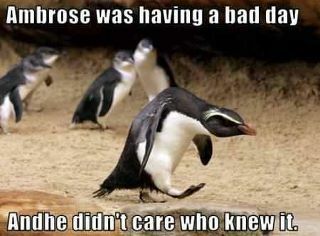 Animals do have feelings, too, don’t they. By the way, how many more hits must that poor penguin on the upper right side of your site have to take?